I had a Chance to make the Hoover Dam one of my stops on the way to Grand Canyon National Park. It's a concrete arch-gravity dam set in the Black Canyon of the Colorado river, right on the border of Nevada and Arizona. Nevada, Arizona and California and still one of the country's largest hydroelectric power plants. 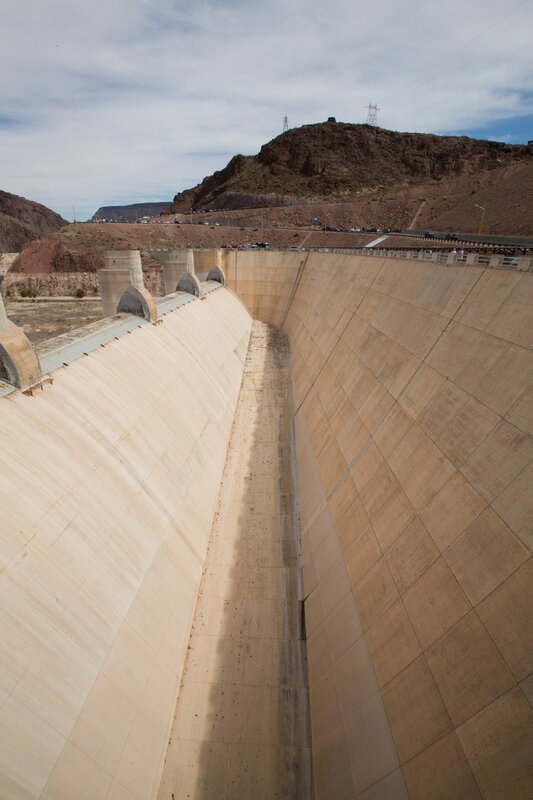 Although we were only able to stop for a short time to admire the beauty and power of the colossal concrete dam i definitely recommend becoming one of the millions of tourists that visit it each year:).